Pinnacle Entertainment's classic Savage Worlds setting with super-villains saving the earth has returned better than ever. It's reformatted to the wildly popular Savage Worlds: Explorers Edition-size paperback with updated rules. The plot has been expanded to include a new ending, giving you 110% of the story of the first edition. The new edition also has new art, with two dozen pieces added. The Fate Of The World Lies With The Scum Of The Earth! When the super heroes of the world are blown to kingdom come by an unstoppable army of invading aliens, who will save the day? Evil... The only forces left to take on the alien menace are the crafty and self-serving super-villains! 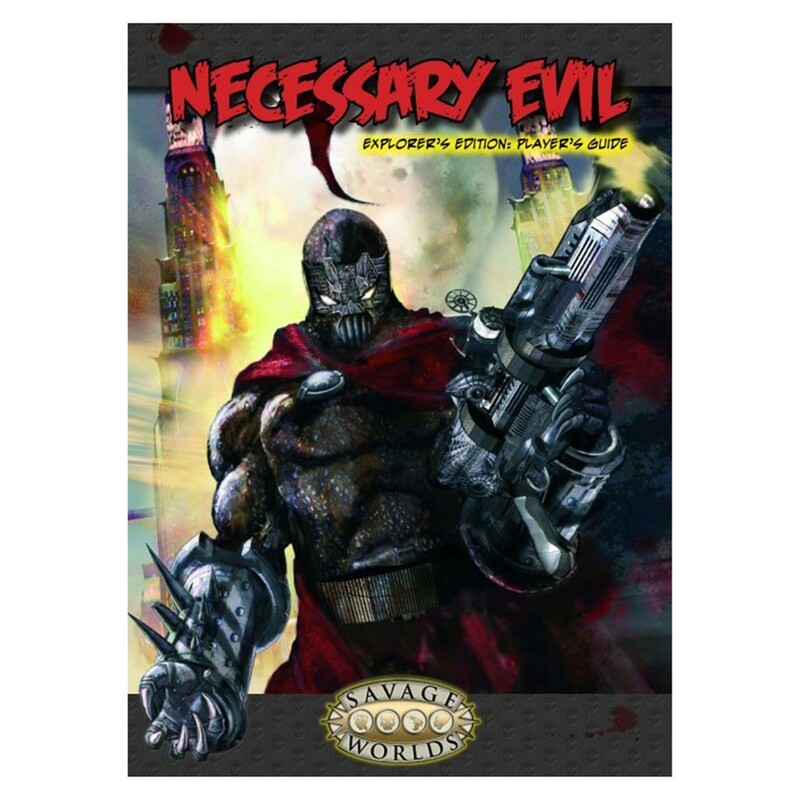 Necessary Evil is a supers game done Savage Worlds style. Inside the twisted Plot Point setting are complete rules on making four-color super-powered characters, over seventy super powers, a whole pile of adventures weaving in and out of a resistance story, new Edges and Hindrances, a bestiary of out-of-this-world critters, and more! Necessary Evil requires the Savage Worlds Roleplaying Game to play, available wherever you found this book.